When you get right down to it, the CEO of a publicly traded company is responsible for one thing, and one thing only – the share price. They are beholden to no other measurement, and it is supposed to go upwards, only. If it’s flat, that’s quite bad. CEOs get fired if the share price is bad. So what’s a CEO to do with a flat share price? Fire a bunch of other people. 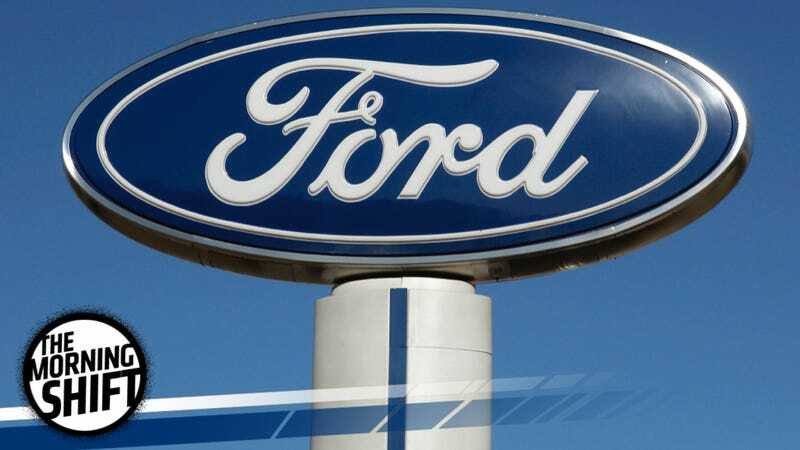 Ford Motor Co. on Wednesday said it plans to cut 10 percent of its salaried employees in North America and Asia to cut costs amid slowing sales and growing investments in new technology. The automaker will offer voluntary early retirement and special separation packages to roughly 1,400 white-collar workers in the two regions combined and expects the cuts to come by the end of September. Ford said nearly all of its “skill teams” will be affected, except for product development, Ford Credit, manufacturing, IT and global data and analytics. And while that must be gut-wrenching for the 1,400 people affected, it’s much better than our original math yesterday, as rumors trickled out that Ford would lay off 10 percent of its entire workforce, rather than just 10 percent of its salaried workforce. Our bad in that regard. But at least we didn’t lay off 1,400 people today in the hopes of boosting a stock price. On Wednesday, prosecutors said they were investigating whether Mr. Müller improperly withheld information about the emissions scandal from shareholders of Porsche S.E. before news of the deception became public in September 2015. Porsche S.E. is a holding company which controls the majority of Volkswagen shares, and it’s intertwined with the descendants of Ferdinand Porsche, who created the original Beetle. But Porsche S.E. is still publicly traded, and despite its ties to the Porsche and Piech families, that means a whole bunch of other people can get hosed if Volkswagen’s executives didn’t run the company properly. Volkswagen and Porsche S.E. officially “consider the accusations groundless,” however. And it must be true, right? Corporate CEOs are titans of industry, who would never do anything to enrich themselves at the expense of those less powerful. The discussion came after Apple Inc. invested $1 billion in Didi Chuxing, then a fierce competitor of Uber in China. [Uber CEO Travis] Kalanick pitched Musk on teaming up against Apple, according to Wild Ride, a book by Fortune magazine’s Adam Lashinsky scheduled for release next week. Yeah man, that’s when you knew. Not when Tesla actually started putting semi-autonomous technology in its actual cars. It’s when Elon Musk told you to go away. Uber is worth $69 billion, on paper. Volvo’s latest generation of diesel engines could be its last because the cost of reducing emissions of nitrogen oxide is becoming too expensive, CEO Hakan Samuelsson was quoted as saying on Wednesday. A Volvo spokesman later went on to say that Samuelsson was just “discussing options,” but hey, Samuelsson is the boss. And this makes sense, considering that Volvo’s made noises about full electrification of its cars for a few years now. The European Commission launched legal action against Italy on Wednesday for failing to respond to allegations of emission-test cheating by Fiat Chrysler (FCHA.MI), in a procedure that could lead to the country being taken to court. Did FCA use cheat devices like Volkswagen did? Who knows anymore!!!!!!!!!!!!!!!!!!!!!!!!!!!!! Neutral: Are There Any Good Car Company CEOs? Mark Fields is laying off 1,400 people just to boost a share price. The constant rumors are that Elon Musk can be a pain to work with. Are there any good car company CEOs, besides Malcolm Bricklin?